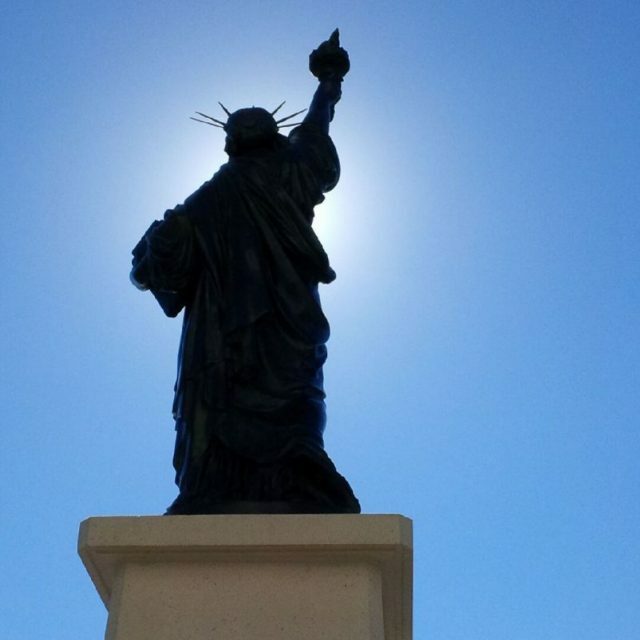 It seems appropriate that today I should write about our American friends on the Riviera, being their National Day n’all. Well, not literally our personal US friends, but the legacy and influence of Americans on the Côte d’Azur over the years. We have the Americans to thank for creating the summer scene on the Côte d’Azur. Until the 1920s it was only fashionable to spend time here during the winter. The British put the Riviera on the map in the Victorian era by promenading along the sea front between October and April but the Americans made it fun. Led by Cole Porter, they revolutionised the region by showing that the best time to visit was summer. 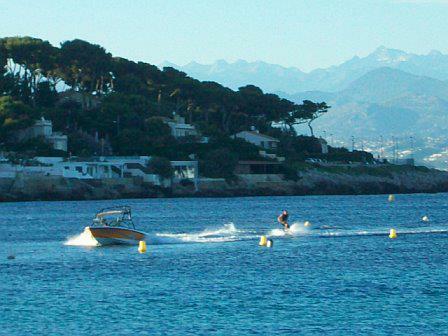 They invented water skiing in Juan les Pins and actually spent time on the beaches, wearing scandalously little clothing which would have been unthinkable only years before. The Cap d’Antibes and Juan les Pins. Cole and Linda Porter stayed in the Château de la Garoupe above the beach of the same name on the Cap d’Antibes in 1921-22 inviting many friends to stay, including Gerald and Sara Murphy. The Murphys came back the following year and stayed in the Hotel du Cap, which is the setting for F. Scott Fitzgerald’s Tender is the Night. 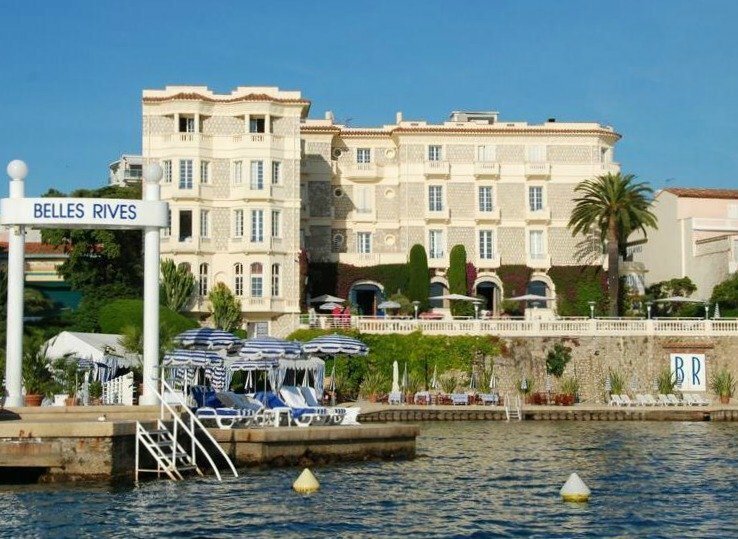 The Fitzgeralds themselves lived in what is now the Hotel Belles-Rives In Juan les Pins. Nice: Promenade des Anglais and the Old Town. Despite being invented by the British, the Prom has American history too. It was here, in 1927, that the dancer Isadora Duncan tragically died when her scarf got caught in the spokes of a back wheel in the car she was in, breaking her neck. 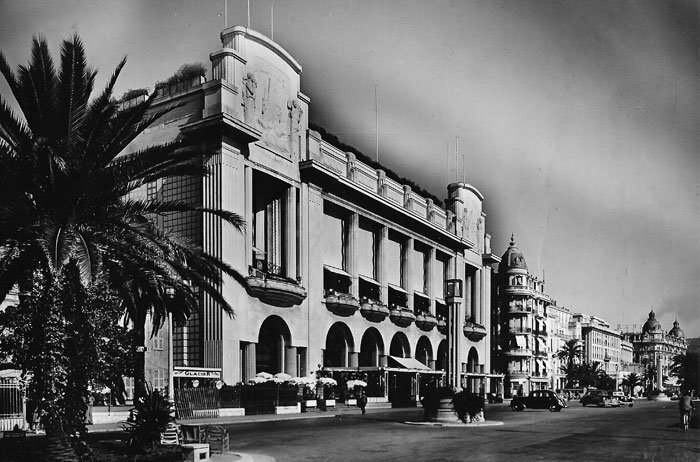 The fabulous Art Deco Palais de la Méditerranée on the Prom was built by Frank Jay Gould in 1928. It was the biggest American investment on the Riviera at the time costing the equivalent of $54 million in today’s money. Gould also built the Provençal in Juan les Pins which sadly has had a chequered recent history, being an unfinished renovation site for as long as I’ve lived in the area (6 years), and longer. (As a little aside, it was in fact the reason we moved to the Côte d’Azur as JF was transferred from his Paris office to work on this particular project). Thomas Jefferson stayed in the Old Town of Nice in 1787 when it was part of Piedmont, eighty odd years before it became part of France. He was here to study rice cultivation and commented “the wine of Nice is remarkably good. You may pass many days here very agreeably. It is in fact an English Colony”. I can’t talk about Americans on the Riviera without mentioning Monaco. America has produced two princesses within Europe’s longest reigning monarchy. Alice, Duchess of Richelieu, was born Alice Heine in New Orleans. She married Prince Albert in 1889 and helped make Monaco an important cultural centre. But most famously of all, the beautiful film star Grace Kelly from Philadelphia, married Prince Rainier in 1956. 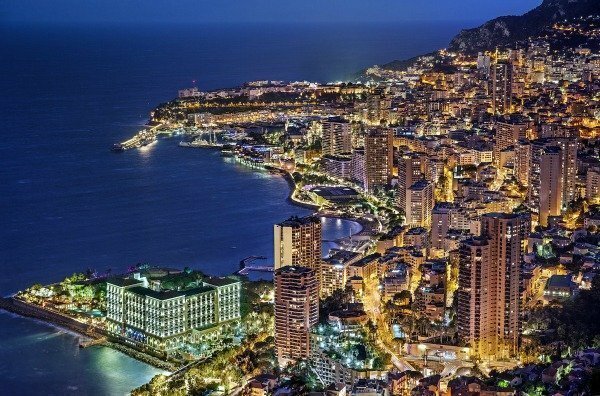 The publicity this brought to the tiny sovereign state was priceless and it transformed its tourist industry putting Monte Carlo firmly on the world stage of glamour. 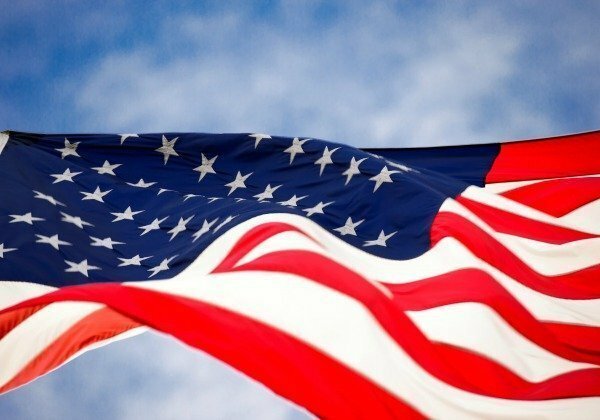 For all my American friends and readers, Happy 4th of July! I hope you’ve enjoyed hearing about some of your fellow citizens who’ve helped make the Riviera the great place it is today. A walking tour of Monaco in pink! I enjoyed reading this post and learning about this great place. Must be a superb place to visit. 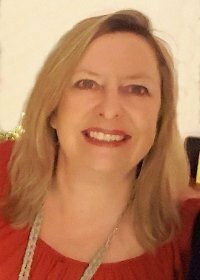 Delighted to have taken you down memory lane Tamsin. I imagine Monaco has changed enormously since 1981, it never seems to stop building on reclaimed land. But it’s still a spectacular place. You should come back for a visit! Thanks for taking the time to comment Tracie, I appreciate it. Great post I live learning the history of places and the American influence on the French Rivera is really cool to learn about. I don’t know much about this area, but I enjoyed learning a little more. It would be fascinating to live in such a beautiful place. Hi francene, sorry my site took a while to load, but thanks for persevering! I appreciate it. 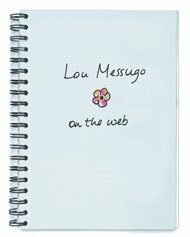 Another very interesting and informative blog. Thanks phoebe. I wonder, is the French Riviera this Riviera in your post too? I am not quite familiar with this part of the world but I have heard of course of the Riviera in my readings, in the movies and in watching TV. I know it’s a famous vacation spot in Europe. The pictures are beautiful. Do they have fireworks there for the 4th of July too?